The most important step in getting HGH therapy is locating the right physician. To find an HGH doctor, you will do a bit of sleuthing. You probably know that you need a prescription to buy HGH legally in the US. After all, that is why you seek a doctor. You may have also learned that only certain practitioners provide hormone replacement. This might be frustrating if you went to visit your family physician who said no when you asked for a prescription for HGH injections. Do not blame your doctor for not giving in to your request. He or she is not a trained hormone specialist. As with any other medical specialty, the act of balancing hormone levels is best left to someone with advanced knowledge in this area. If you would not want someone fixing your broken bone if he or she had never done that before, why would you risk having a doctor who has hardly any practice bringing critical hormone levels back into balance engage in that role? Many people turn to the internet to find a doctor to prescribe HGH therapy. This excellent option allows you to compare up front the level of knowledge and care that the physician offers. For example, if you go to a website that talks mostly about plastic surgery, liposuction, Botox injections, and other treatments (with hormone replacement on the side), you can expect that they will try to sell you on an array of different money-making services besides HGH injections. When you look online for an HGH doctor near me, you can expect that hormone replacement will be offered in conjunction with some other form of medical care. Be prepared to say no and stand firm for what you want knowing that you will only get HGH therapy if your blood tests show that you are growth hormone deficient. You can also find an HGH doctor at one of the national hormone clinics that you come across during your online search. Contacting an online medical center may seem strange at first, but know this – the doctors at these clinics typically have the highest degree of experience treating adult hormone imbalances because that is usually all that they do in their practice. Read the websites and compare the articles they share. If what you find is informative and easy to understand, you may have found the right doctor for your needs. No matter what you say, chances are you will never get your family physician to prescribe HGH therapy, and that is a good thing. You only want a specialist “messing around” with your hormone levels because there will be no messing at all – only carefully calculated bioidentical hormone replacement therapy. Once you find an HGH doctor, all you need to do is explain your list of symptoms. That will immediately determine if you might be dealing with a hormonal imbalance. At that time, you will be directed to visit a local laboratory at a specified time to have a sample of your blood collected for testing. If you are looking for how to get HGH from a doctor, US residents will also undergo a physical examination before receiving this treatment. That is for your protection to rule out other medical issues and provide information used in the dosage determination process. 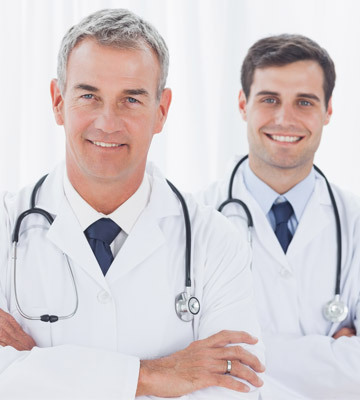 Greenberg Health will provide you with an experienced HGH doctor. Prescriptions for HGH injections are filled by licensed US pharmacies that we trust for their commitment to service and quality. Contact us today for a free, confidential consultation.